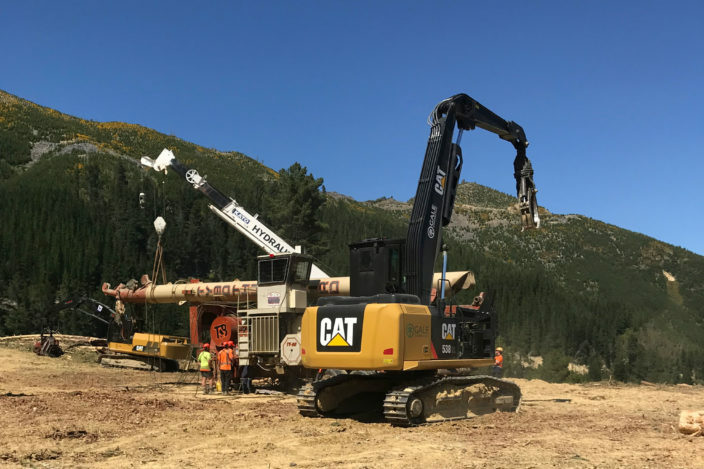 Here at Partners Finance & Lease we work closely with New Zealand’s forest harvesting businesses, from independent operators to multi-site contracting companies stretching across both the North and South Islands. Among these are Marlborough-based Gale Contracting, who have been delivering harvesting services to forest owners and businesses in the region since 1997. They provide a variety of solutions including cable, mechanised and ground-based logging. From their Cat D8K Bulldozer to Sumitomo 300 Feller Buncher, Tigercat to Thunderbird TY90 hauler, Cat Skidders, tethers and excavators – Gale Contracting’s impressive range of equipment allows the team to work with the toughest terrains and ensure the highest levels of safety for their four crews. Commercial Finance Manager Clive Murden recently donned his pink high vis and paid a visit to their site near Renwick, Marlborough. Check out our video of Gale Contracting in full swing below.